The 69th Berlin International Film Festival has a heavy dose of women film directors this year from all over the world including three from India. The India pavilion has been set up to act as a platform to popularise Indian cinema in the overseas market and facilitate new business opportunities. Berlinale, the 69th Berlin International Film Festival kicked off with the celebrated German film critic and director Dieter Kosslick celebrating his 18th and final festival. Besides actress Juliette Binoche of France, this year’s international jury includes film critic and author Justin Chang of the United States, actress Sandra Hüller from Germany, director Sebastián Lelio from Chile, film curator Rajendra Roy from the United States, and producer, director and actress Trudie Styler from the United Kingdom. Following the Opening Gala, Lone Scherfig’s film The Kindness of Strangers had its world premiere. 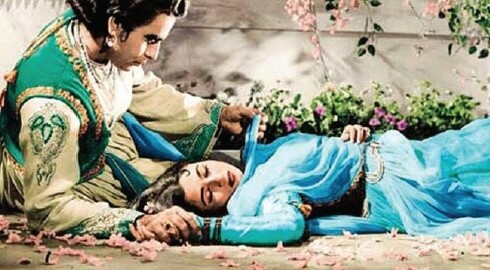 This year three Indian women directors’ films are being screened at the Berlinale. Udita Bhargava’s Dust starring Morten Holst and Vinay Pathak will have its world premiere in the Perspektive Deutsches Kino (New German Cinema) section. With the backdrop of the Maoist conflict that affects large parts of India, the film is an Indo-German co-production shot in India with an international crew. Zoya Akhtar will showcase Gully Boy and Rima Das will present Bulbul Can Sing. “We are delighted to start our journey at the Berlinale. It feels like a homecoming for many of us since a large part of our team is from Berlin. Also, as an Indian, I am looking forward to watching Zoya and Rima’s films and hope they too can watch mine,” said Udita. 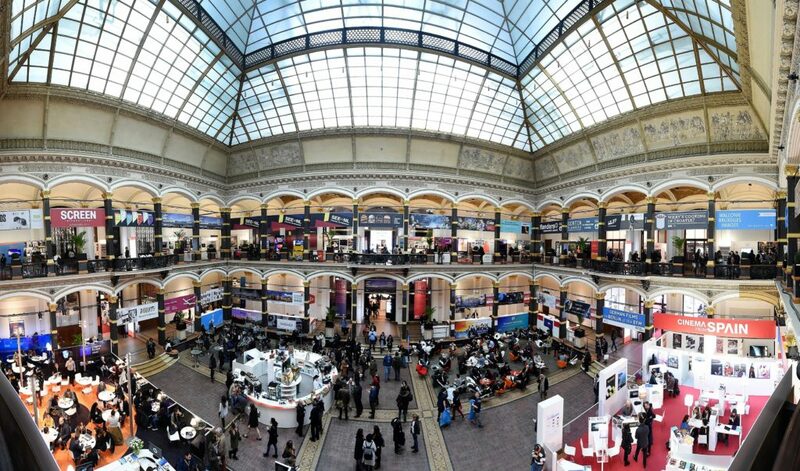 The India pavilion at the European Film Market (EFM) that is an essential part of Berlinale was inaugurated and EFM officials expressed their deep interest to work with India and collaborate for the golden jubilee celebrations of the International Film Festival of India (IFFI) next year. Members of the Indian delegation including Additional DG, directorate of Film Festivals, Chaitanya Prasad and director, Films, Ministry of Information & Broadcasting, GC Aron, apprised the EFM representatives about the significance of golden jubilee celebration of IFFI, the recent policy initiatives of the government to ensure ease of filming in India, setting up of Film Facilitation Office, launch of the web portal (www.ffo.gov.in) for online application for film shooting at a single point and efforts of the government through amendment to the Cinematograph Act to tackle film piracy. Speaking on the occasion, Matthijis Wouter Knol, director, European Film Market (EFM) said that the stakeholders of EFM would actively consider participating in the golden jubilee year of IFFI. He also underlined that the participation would pave a way forward for a more proactive interaction between the Indian stakeholders and the industry with the organisers of Berlinale in future. Paramita Tripathi, deputy chief of Mission, Embassy of India in Berlin expressed that the Indian Mission in Berlin would undertake constant engagement in future with Indian and German stakeholders at the European Film Market to promote a viable exchange in all areas related to participation in IFFI 2019 and the Berlin Film Festival along with working towards widening prospects of shooting of films in India. 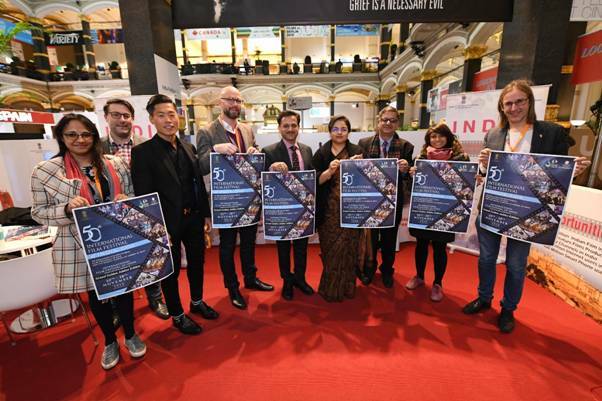 Ministry of Information & Broadcasting, in collaboration with Confederation of Indian Industry (CII), is participating in the Berlin International Film Festival being held from February 7 – 17. The India pavilion has been set up to act as a platform to popularise Indian cinema in the overseas market and facilitate new business opportunities. The Indian delegation will meet officials from countries including Israel, New Zealand, France, Italy, China, Japan, Switzerland, Germany, Canada, the US, Greece and the UK. The delegation will also meet with officials from Locarno Film Festival, Venice International Film Festival, Edinburgh International Film Festival, and Cannes Film Festival among others. The poster of IFFI 2019 was also inaugurated during the inaugural ceremony.